Travel Industry impact of Google's acquisition of ITA Software - Market Maker? 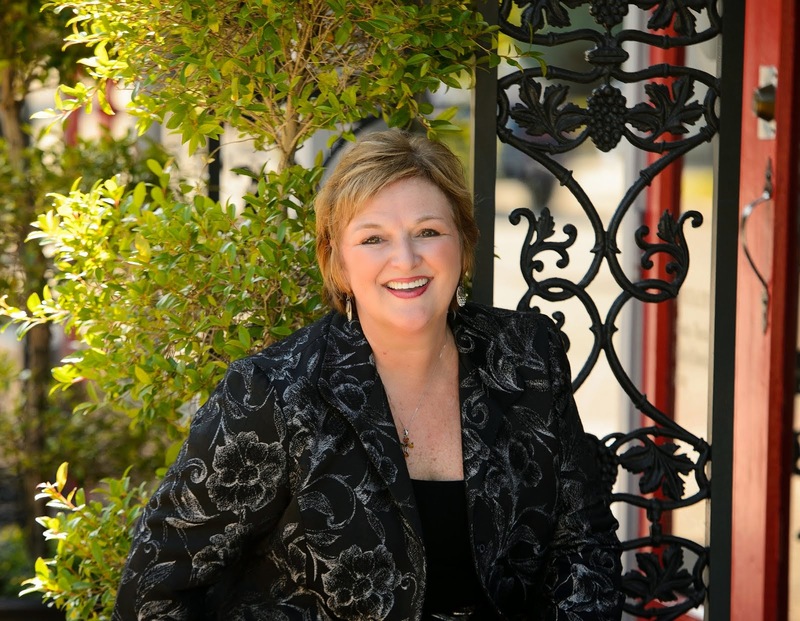 In any retail business, when you are able to control or influence consumer behavior, your ability to dominate a particular product or service category increases exponentially. Take a look at the impact that the frequent flyer programs had on the airlines in the 80's when they were introduced. By awarding points and hence influencing choice, the airlines were able to build loyalty. Of course sustaining it has been another story for another day. Google (NASDAQ:GOOG) controls 64.9% of search traffic. That is market control by any measure. 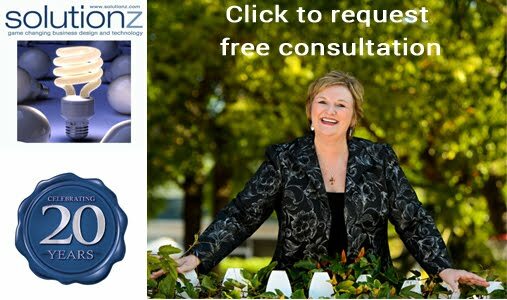 Add to that the ability to take simple queries for the most common of all online activities - travel planning and intervene with well placed recommendations versus pure search results - and you have the making of a market maker in the travel industry. On April 8th, the DOJ conditionally approved the $700 million takeover deal between Google, the world's largest search company, and ITA Software. The announcement follows nine months of investigation by government officials, significant lobbying by those for and against the deal (including the creation of anti-deal FairSearch coalition), and has fostered unlimited speculation as to what Google will do moving forward. 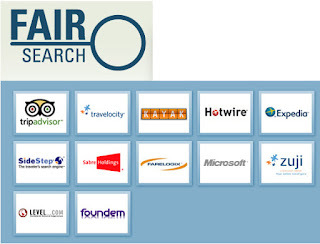 The FairSearch coalition includes TripAdvisor, Travelocity, Kayak, Hotwire, Expedia, SideStep, Travelocity, Farelogix, Microsoft [Bing Travel], Zuji, Level.com and Foundem. The DOJ caveats to the deal largely address their provision of services to their existing client base. Boston-based ITA specializes in organizing airline data, including flight times, availability and prices. Its data is used on a host of web sites like Kayak, Orbitz (NYSE:OWW), Expedia.com (NASDAQ:EXPE), TripAdvisor and Microsoft (NASDAQ:MSFT)'s Bing, as well as a number of airlines' web sites. And there is still talk of an antitrust case. "We continue to scrutinize broader questions about the fairness of Google's search engine, and whether it preferences its own products and services to the detriment of competitors," said Sen. Herb Kohl, chairman of the Judiciary Committee's antitrust subcommittee. While Google continues to vehemently deny that they are in fact getting into the travel business, at issue is the fact that if you begin your travel search for a flight on Google's search engine and get a list of recommendations, for which they are compensated in some way by the travel supplier or aggregator, then that relegates the balance of the search responses to a lower, less prominent screen position. And as user behavior goes, controlling the screen real estate (location, location, location) means that it is less likely that the consumer will peruse the other options listed below. ITA's technology is also fully capable of extending into other sectors of the travel industry, most notably, the hotel business, which is the heart of the online travel industry's offering, hence the objections by Expedia and Microsoft's Bing Travel. When you build a company and are highly successful, one of the rights and privileges lent by capitalism is that you get to be a market maker. And when you take a very smart, very entrepreneurial group of MIT (EBR:MIT) graduates and add in an industry fraught with fragmentation, legacy and broken business models, you get to build a new industry infrastructure and sell your company to Google. 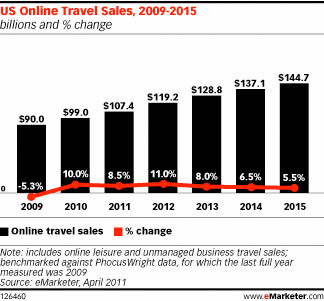 Today eMarketer posted their projections for online travel sales. Growth is projected to peak at 11% in 2012 and then decline to 5.5% per year in 2015. I would challenge this projection if in fact these numbers include sales made via tablets and mobile devices. I believe that the new devices are going to dramatically change consumer behavior.